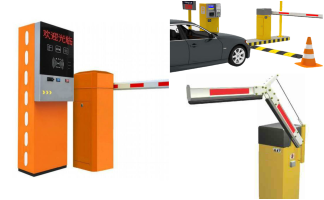 Car park barrier system is at the core of what our security consultants in Singapore specialize in at T3 Security Integration office. We are a seasoned car parking barrier systems vendor with over a decade in the Electronic Parking System industry offering not just a standard vehicle access control systems, but a full suite of Customized integrated car park barrier and ANPR system solutions with an excellent range of after-sales technical support services. At T3 Security Integration, Our philosophy is very simple, which is to offer the best value to all our clients to ensure satisfaction and maintain a long-term business relationship. Car park barrier systems are the perfect car parking management solution if you need to control and manage the vehicle transit in and out of your car park facilities. Through integration with License Plate Recognition System, our Car park Barrier gates allow you to efficiently manage and track the movement of a heavy traffic of vehicles entering into your car park premises even when the traffic is heavy. Such a car park barrier system can be deployed in various car park facilities such as Public Buildings, Condominiums, Shopping malls where the daily vehicle traffic is heavy. As different building premises each has its own set of unique car parking management challenges and specification requirement, we ensure all our car park management system deployed is customized and fully integrated to satisfy your needs. The security landscape and technology is continuously ever-changing, our in-house team of system developers is constantly using the highest quality hardware and software know-how to ensure that our Car Park Management systems are kept current and up-to-date with the latest developments. Using a long range UHF RFID antenna, the EPS car park management system is able to wirelessly transmit signals to the In-Vehicle Unit (IU) installed in the vehicle. The (UHF) RFID technology used is similar to that found in the Electronic road pricing (ERP) system. This allows the EPS system to capture and verify the unique ID number of the vehicle’s In-Vehicle Unit (IU) before giving the vehicle entry access into the car park facilities. Information data (eg. IU number, Date & Time of entry, Car Numberplate) collected during the car park entry will then be sent to the central PC database for later retrieval. For secure building premises, such as Governmental, Embassy, Correctional facilities or Military camps, a car park barrier system also serves as a reliable form of vehicle identification to ensure that only registered authorized vehicles are allowed gain entry into the building facilities. It can also able to identify unauthorized vehicles which have shown up in the entrance lane and deny entry into the premises. Once the In-Vehicle Unit (IU) ID number is read by the EPS Antenna and the barrier will be opened automatically. The operation of reading the IU and lifting of barrier requires less than 2 seconds. During exiting, the long-range (UHF) RFID antenna will wirelessly read various information from the vehicle at the exit lane. This includes information such as In-Vehicle Unit (IU) identification number, date and time of departure. Using this data in conjunction with the date and time records captured earlier during entry, the car park system will automatically compute the parking fee chargeable. * Note that for vehicles with season pass holders, no car park charges will be imposed when they exit. To cater and meet the various Usage and Technical requirements from different clients, we offer various types of intelligent automatic Car Park Barrier systems as shown below. Barrier Gate System enables administrators personnel at car park premises to grant entry access to each incoming vehicles either manually or by using a remotely controlled barrier gate. Generally, Such a barrier gate solution is a very affordable system and has fast and easy setup. A Car Park Access Control utilities a Long range RFID antenna to wirelessly detect and read an authenticating device Tag that is pre-assigned and attached to a registered vehicle before enabling them to access or exit the car park premises. This car park access solution is a very affordable implementation but takes a longer time to deploy as compared to the barrier gate system. Semi EPS (Electronic Parking System) allows inbound vehicles with In-vehicle Unit (IU) to easily enter the car park premises in a very convenient hands-free manner. At the exit station lane, vehicles that do not possess a valid parking Season pass will have to make payment by using a CashCard/CEPAS card at the payment kiosk provided. This Semi EPS parking system is suitable for car parks with a high proportion of season parking to facilitate the smooth traffic flow of the season parking vehicles. It is marginally more expensive and takes a slightly longer set up time as compared to the CashCard/CEPAS System. 1. As the Vehicle close in on the barrier at car park entry lane, the Antenna will detect the entering vehicle. 2. The long-range Antenna will wirelessly communicate the In-vehicle Unit (IU) and register the vehicle entry/entering time. 1. As the Vehicle gradually close up on/approaches the EPS barrier at car park exit, the system detects the incoming vehicle. 4. We are able to provide professional technical consultation and configure a the Car park barrier system base on your actual project requirements. A Full fledge EPS (Electronic Parking System) allows vehicles with In-vehicle Unit (IU) to enter and exit car parks in an intuitive hands-free manner. At the EPS exit station, vehicles that do not have a season pass will have to make payment by inserting a CashCard/CEPAS Card into the vehicles’ In-vehicle Unit (IU). This electronic parking (EPS) system is recommended for car park facilities with high than average traffic volume as it helps to make sure that Casual or Season parking vehicles will not experience congestion at the exits of car parks. A Full EPS system is usually more expensive and takes a much longer time to install & configure compared to a/the Semi EPS system. 1. As an Incoming Vehicle close in on the EPS barrier at car park entrance lane, the EPS system will sense the vehicle. 2. Long Range RFID Antenna will wirelessly read the In-Vehicle Unit (IU) and log in the vehicle entering time in the EPS parking system. 1. As the inbound Vehicle approaching the at car park barrier at the Exit lane, the EPS system will automatically detect the vehicle. 6. Once the automobile has successfully crossed the EPS system, the EPS physical Barrier will be swung back in horizontal position. The complimentary parking system is designed to process the complimentary parking tickets issued to vehicle drivers in order for them to successfully leave the car parks under complimentary parking. This type of parking system is normally used in industry domains such as Hotels, Shopping centers or any industries that need giving of complimentary parking to vehicle drivers. 3. Barrier will be lowered back in position after the vehicle has physically departed from the parking system entry access line. 5. Upon successful completion of the car park fee payment transaction, the Barrier will be lifted to allow the vehicle to pass through. CashCard/CEPAS payment System operates by enabling the use of CashCard/CEPAS card for payment transaction at the EPS kiosk to facilitate the authorization of Entry access or Exit of vehicles from the car park premises. This Cashcard/CEPAS payment system is suitable for car parks that experiences a relatively low traffic volume as it is the lowest cost and easiest to be deployed. 2. To retrieve parking fee payable, the Driver simply has to insert the cashcard/CEPAS card into the card reader. 4. After successful completion of car park fee payment transaction Barrier will raise up to allow for the vehicle to exit.